Secure a Punta Allen vacation package on Expedia today! This is by far one of the best ways to save time and cash for your upcoming getaway. Click through our universal database of more than 400 partner airlines and 321,000 properties worldwide. Too many on there to pick from? Don't stress — we'll help you decide! There are heaps of awesome things you can do when you're in a new place. So why not get your trip to Punta Allen off to the perfect start by perusing some of our ideas? After all – out there starts here! You can read through guidebooks as much as you like. But when it comes to finding things to see and do, there's nothing like hitting the streets with a lust for adventure. Trust us, there'll never be a dull moment in Punta Allen! Jetting off to Punta Allen? It'd be a good idea to secure a room for your cheap vacation or luxury getaway as soon as possible. There are just 2 properties currently available. The Grand Slam Fly Fishing Lodge (Carretera Tulum Punta Allen) and the Hotel Sol Caribe (Predio Chen chomac MZ 6 Lt 8) decent properties. Why not check out the services and amenities and then select one? Pass security, shuffle onboard, stow your bags in the overhead locker and buckle up! 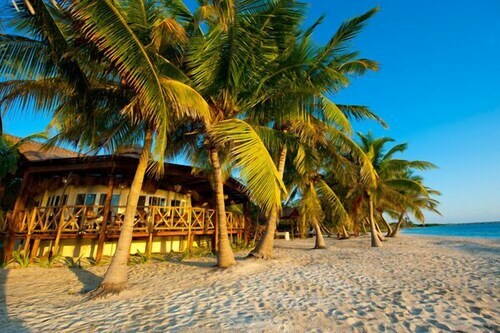 Your well-deserved trip to Punta Allen isn't far off now. After arriving at Cozumel International Airport (CZM), you'll find yourself about 60 miles (97 km) from the center of downtown. Offering direct access to the beach, this Punta Allen resort is steps from Sol Caribe Beach and Sian Ka'an Biosphere Reserve. Punta Allen Dock and Punta Allen Park are also within 6 mi (10 km). Nestled on the beach, this Punta Allen hotel is just steps from Sol Caribe Beach and Sian Ka'an Biosphere Reserve. Punta Allen Dock and Punta Allen Park are also within 6 mi (10 km). Nestled on the beach, this Punta Allen lodge is within 1 mi (2 km) of Punta Allen Dock and Sian Ka'an Biosphere Reserve. Punta Allen Park is 0.2 mi (0.3 km) away. 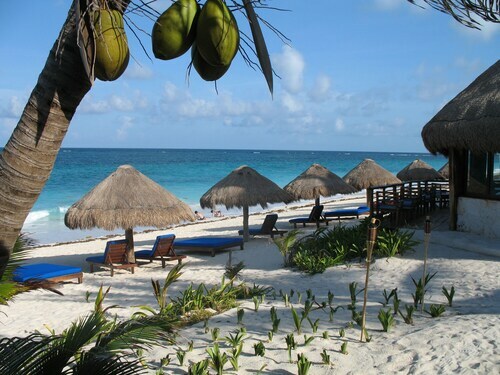 Situated in Punta Allen, this hotel is within 1 mi (2 km) of Punta Allen Park and Sian Ka'an Biosphere Reserve. Punta Allen Dock is 0.2 mi (0.3 km) away. 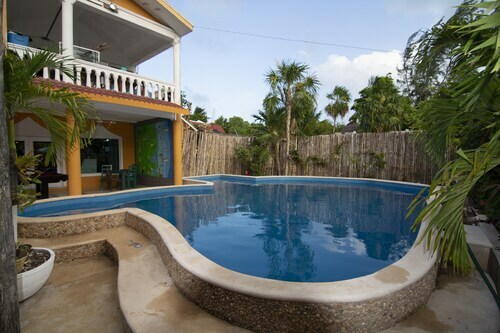 Come Experience Life Under the Stars and Peaceful Bliss of Punta Allen! 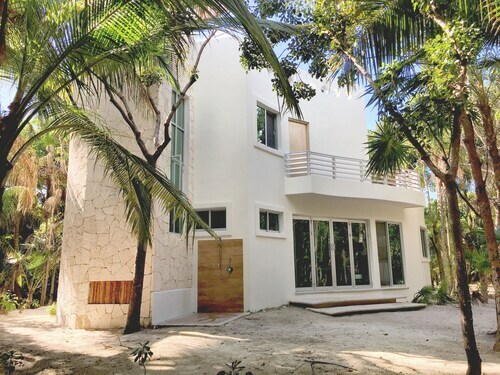 Situated on the beach, this property is within 1 mi (2 km) of Punta Allen Park and Sian Ka'an Biosphere Reserve. Punta Allen Dock is 0.9 mi (1.4 km) away. 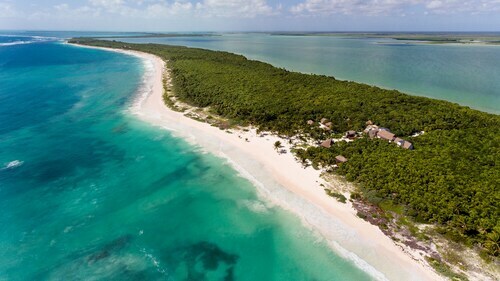 Nestled on the beach, this Punta Allen property is within 1 mi (2 km) of Sol Caribe Beach and Sian Ka'an Biosphere Reserve. Punta Allen Dock and Punta Allen Park are also within 9 mi (15 km). 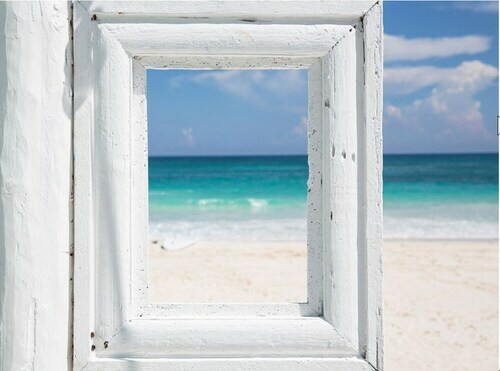 Located in Tulum, this beachfront resort is next to a golf course, 0.1 mi (0.1 km) from Tulum Beach, and 2.5 mi (4.1 km) from Sian Ka'an Biosphere Reserve. Playa Paraiso and Tulum National Park are also within 6 mi (10 km). 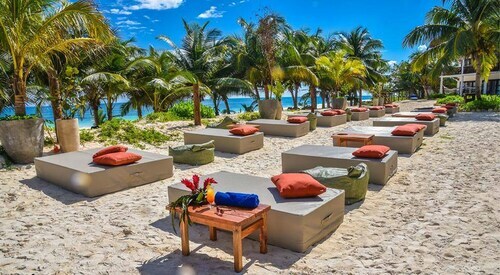 Nestled on the beach, this Tulum hotel is 0.1 mi (0.1 km) from Tulum Beach and 2.9 mi (4.6 km) from Playa Paraiso. Las Palmas Public Beach is 2.5 mi (4 km) away. Tue., 1 Oct. - Fri., 4 Oct. Mon., 25 Nov. - Sun., 1 Dec.